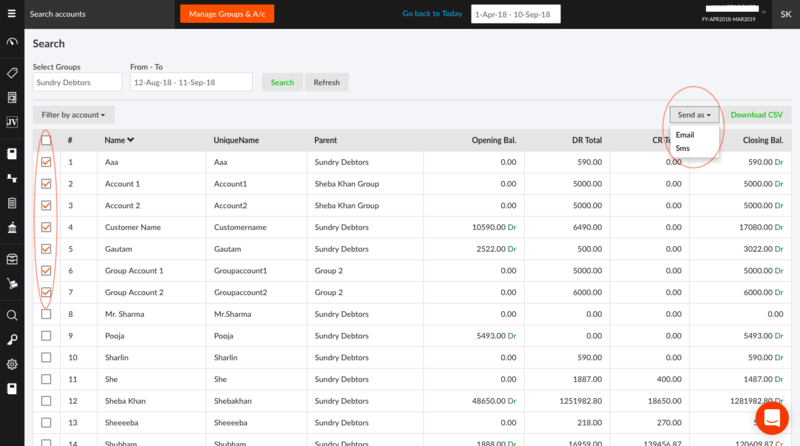 You will get the list of all customers with their opening balance, total Dr, total Cr and Closing Balance. 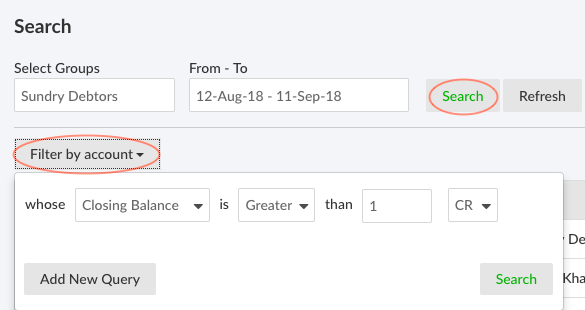 You can also apply the filter for your convenience by using “filter by accounts” option present on the left hand side. Now select the mode send as email or SMS. You can also download the sheet by using download CSV option. Fill the due days and socket webhook URL (Socket URL) in 4th option from top.